Saint Norbert was born in Xanten on the left bank of the Rhine, near Wesel, in the Electorate of Cologne. He grew up there and was also educated there. His father, Heribert, Count of Gennep, was related to the imperial house of Germany and the House of Lorraine. His mother was Hedwig of Guise. 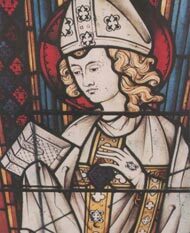 Ordained as a subdeacon, Norbert was appointed to a canonry at Xanten where he lived a life of pleasure. Soon after, he was summoned to the court of Frederick of Cologne and later to that of Henry V, Holy Roman Emperor, where he became the emperor’s almoner (a church officer in charge of distributing charity). He avoided ordination to the priesthood and even declined an appointment as bishop of Cambrai in 1113. Following a near-fatal horse-riding accident, his faith deepened and he renounced his appointment at Court. He returned to Xanten to lead a life of penance, placing himself under the direction of Cono, Abbot of St Sigeberg, near Cologne. In 1115, Norbert founded the Abbey of Fürstenberg, endowed it with a portion of his property, and made it over to Cono of Siegburg and his Benedictine successors. He was ordained to the priesthood soon afterward. 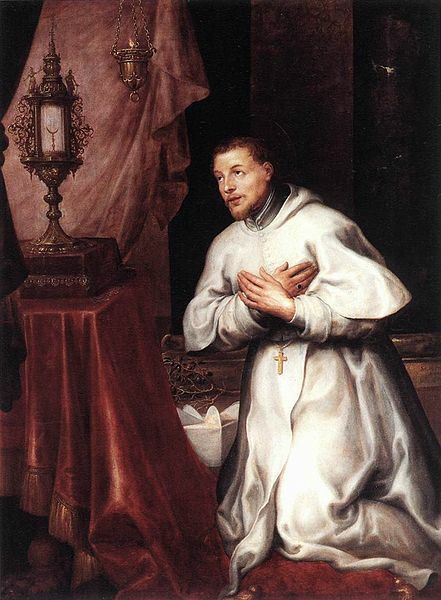 St Norbert attempted to reform the other canons of Xanten, but his asceticism did not sit well with them and they denounced him at the Council of Fritzlar in 1118. He then resigned his benefice, sold all his property and gave the proceeds to the poor. He visited Pope Gelasius II, who gave him permission to become an itinerant preacher and he preached throughout northern France, being credited with a number of miracles. At the Council of Reims in October, 1119, Pope Calixtus II requested Norbert to found a religious order in the Diocese of Laon in France. In 1120, Norbert chose a valley in the Forest of Coucy (a grant from the Bishop of Laon), about 10 miles from Laon, named Prémontré. 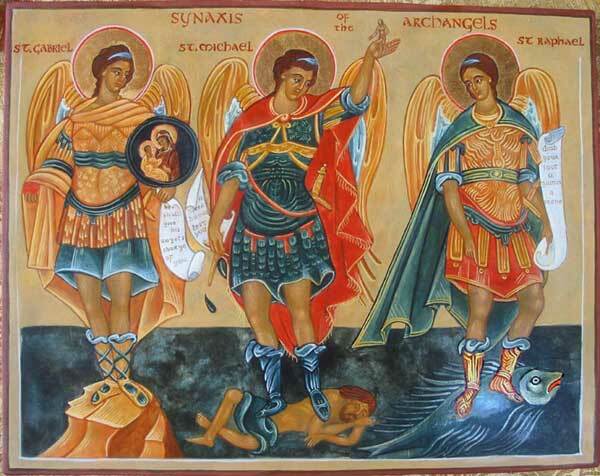 Blessed Hugh of Fosses, Saint Evermode, Antony of Nivelles, seven students of the celebrated school of Anselm, and Ralph of Laon were among his first thirteen disciples. By the next year the community had grown to 40. They all took their vows and the Order of Canons Regular of Prémontré was founded. The young community at first lived in huts of wood and clay, arranged like a camp around the chapel of Saint John the Baptist, but they soon built a larger church and a monastery for the religious who joined them in increasing numbers. Going to Cologne to obtain relics for their church, Norbert is said to have discovered, through a dream, the spot where those of Saint Ursula and her companions, of Saint Gereon, and of other martyrs lay hidden. In 1125, the constitution for the order was approved by Pope Honorius II. When Norbert died in Magdeburg on June 6, 1134, both the canons at the cathedral and the canons at St. Mary’s Abbey claimed the body. The two parties resorted to Lothair III who decreed the body should be buried in the Norbertine Abbey. In 1524, Martin Luther preached in the city and, as a result, Magdeburg became a Protestant city. Numerous attempts were made over the centuries by the Abbey of Strahov in Prague to retrieve the saint’s body. Only after several military defeats at the hand of Emperor Ferdinand II was the abbot of Strahov able to claim the body. On May 2, 1627, the body was finally brought to Prague and interred in the abbey where it remains to this day. Saint Norbert was canonized by Pope Gregory XIII in the year 1582. He is invoked for safe delivery in childbirth.